This is a my Doula and Photography Blog. I've always had a passion for being behind the camera capturing what was going on around me, as well as birth and supporting mothers as they experience the birth of their own baby; so I've decided to create this blog to show case some of my photography, and offer my services doula, CST, and photography to others. Soft GlazeEDIT, originally uploaded by conradzone. 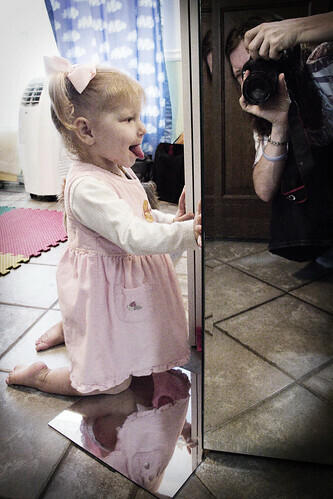 Here's a cute photo of my little girl, and a self portrait. I now have the SleepWrap available for demo in my Baby wearing Class You can call me for a demo 214-226-3206. It seems of late I've been helped more time than I can count by people offering their services as a "working for God" type deal. So recently my husband and I took the Crown Financial class, and set out to get our finances more in order with Gods will. In our class we learned EVERYTHING we have belongs to God. 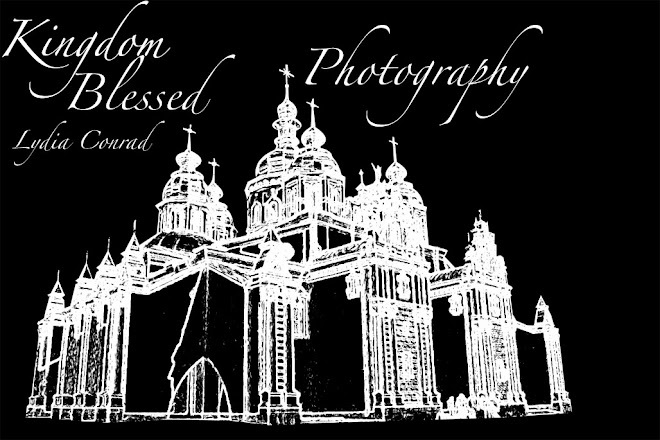 As with my name (Kingdom Blessed) I believe everything is a blessing from God and is His. So my goal is to live how God would have us live in that manner of our lives (and other parts too). A standard babywearing class include demo of any of my carriers, or working with you to help you learn how to best carry your baby. A standard CranioSacral Therapy session takes place in a quiet setting and does not require the client to remove clothing. The client is generally most comfortable in loose clothing and no shoes. The client reclines on a treatment table during the entire session. The practitioner stands or sits, positioned at the head, middle or feet of the client at any given time during the session. A standard photo session includes 2 hour session at a location of your choice along with a CD with all the edited photos (20-30) full size for your printing at a location of your desire. Also, free rescheduling if you are not happy with the photos we get. Pay what you can or nothing at all, it belongs to God and he has provided and will provide. A mini session include 30 minutes session at a location of your choice and 5-6 photos edited on CD. Wife to Robert Conrad, and Mommy to Tommy, William and Micah! Tommy is my bouncing/skipping/swimming/reading 3 year old, loving life and having fun, William is our happy smiling laughing boy loving life and his brothers, William has CP from a birth injury, Micah is our happy go lucky boy, walking/running/swimming/tooth brushing easy going tender hearted boy, Micah has a Congenital heart defect Atrial Septal Defect ASD.